I recently met the dynamic Donnamaree Cosgrove who together with her husband Kerry owns and runs bike retail store Bikeline in Toowoomba Queensland. Donnamaree mentioned to me that her store had run a women’s successful bike/body skills program last year so I asked her to fill me in on how it worked. Q: What was the inspiration behind running the course? A: We already have a strong women’s group the Bikeline WOW (Women On Wheels) Team. Over the years the groups cycling ability has got stronger and we began to notice that we were not catering for the newcomers as well as we once did so we brainstormed some ideas with the staff (two of whom are female). One of our female staff at the time was also a Yoga instructor so the Yoga/stretching component was her idea. Our Body Geometry Fit (Specialized’s bike fit methodology) guy proposed the fit component, the mechanic suggested basic mechanic skills, and of course cycling skills was a no brainer so from that concoction of ingredients, we created “Your Body, Your Bike”. Q: Who were you targeting? A: Women in general, but specifically beginners. Q: How many attended? How long did it run for? A: 12 women attended and it ran for eight weeks. Q: Are the participants now regular customers? A: Absolutely – all now ride Specialized and all are our best ambassadors (Bikeline is Specialized concept store). A: From our point of view they learnt incredible lessons. By the end of the course their core strength and cycling skills were immeasurably better, they were undertaking longer distances with better outcomes. As part of the course we proposed the 100km “Rainbow Ride” at Byron Bay as the first goal. 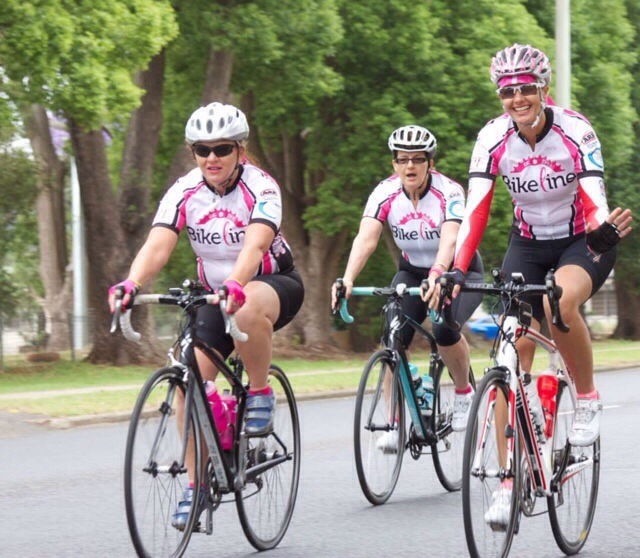 All of the girls achieved this with ease and some or all have since done Brisbane – Gold Coast, Noosa Century and the local killer “Ride the Range”. Q: Will you be running it again? A: Yes – definitely! It is in the melting pot right now – dates should be set very soon. It is a good winter program so probably will be July or August. Q: What would you do differently if you do run it again? A: It will be shortened and intensified a little – was a big load for the staff who ran the program. Q: How much did you charge them? A: Being the introductory course, the cost was incredibly low, the next course is still an amazing value for money price – $400. Q: Any other details you’d like to share? A: It is so much fun and a very rewarding experience to offer this course to ladies. It’s very reassuring to see the improvement in their physical appearance, plus the confidence they gain and the friendships they make with each other. After reading this you are probably wishing you lived in Toowoomba or could find this type of program being offered by your local bike shop. Why not suggest it to them? I’m sure Bikelike won’t mind if you borrow their idea.